Hello. My name is Sasha and I am a chihuahua and poodle mix. I'm also the sister and bestie of Princess Tye who also has a dogtagart.com tag that says Sheriff on it. 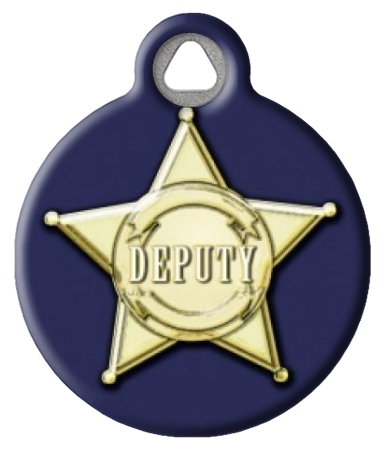 That makes ME the Deputy! (And with seven felines in this house, plus our Mom and Dad) firm law enforcement is a necessity, let me tell you! I'd also like to thank the designer of this tag for making this tag just for me! It was important that I should have a tag to match my sister and the awesome designer did it for us right away! Thanks so much! ARF! !